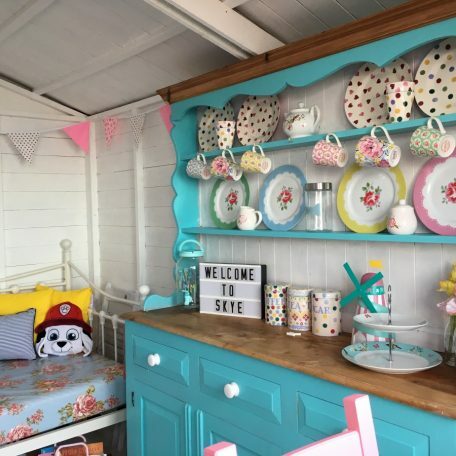 Similar in colour and style to our existing beach hut Millie. Well, as they are right next door to each other, we really couldn’t have chosen any other decor! 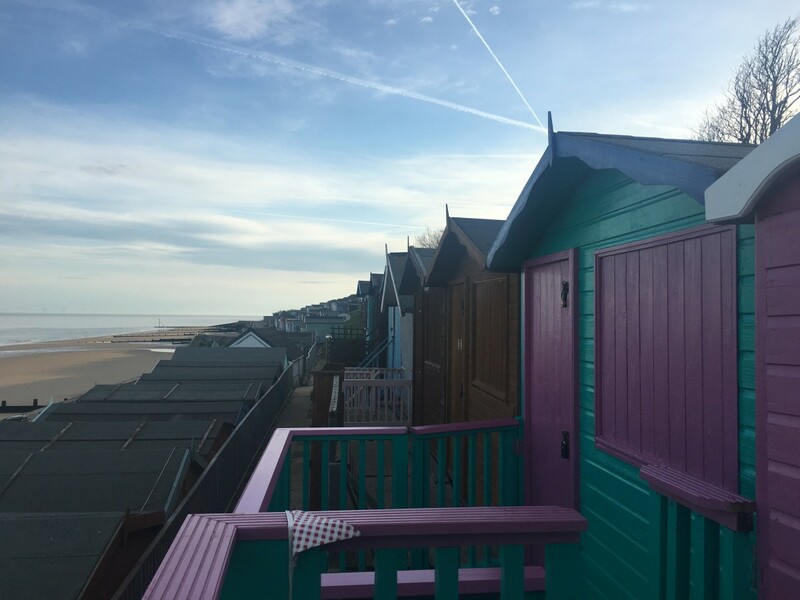 With the Pier on your left, walk towards Frinton and you’ll find our newest hut around 100m from the Pier and right next door to our 2016 Beach Hut of the Year Finalist Millie (perfect if you need more than one beach hut). 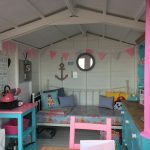 You’ll spot a pink and white wheelchair accessible hut and a small path (if you go past May’s cafe you’ve gone too far) – take this path up a couple of stairs to the second row. 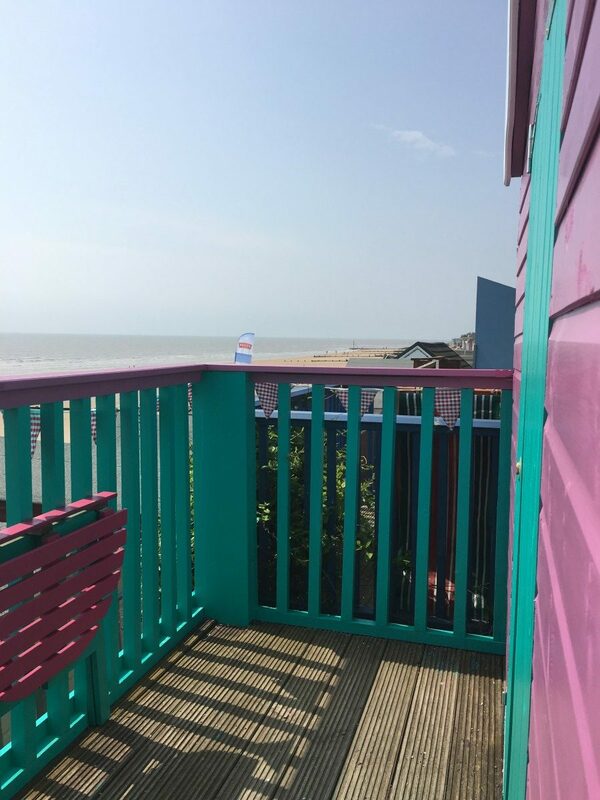 On the left-hand side, you’ll spot a small garden area which is maintained by our lovely beach hut neighbour – we are the third beach hut in this little row (number 21B). 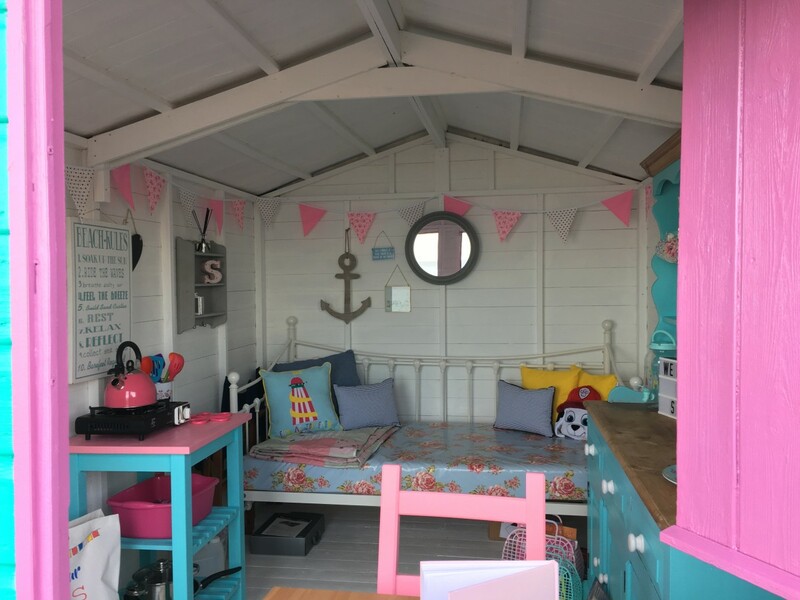 With 5 steps up to the balcony, the beach hut is elevated up with the decking at the same height as the front row. 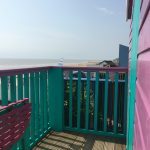 With a small balcony, it’s worth the 5 step climb as this is perfect for those who want complete privacy from passersby (no-one walking past at this level) and on a very small row of huts. With the balcony enclosed and a gate to the stairs you can have complete privacy and some additional security for those young ones and four legged visitors. 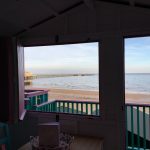 A fantastic view directly onto the beach which allows visitors to watch over those directly on the beach (as just a few steps away) and our normal Millie’s Beach Hut interior to relax within. 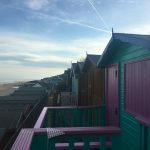 The winter months can offer great ‘sea spray’ viewings with the sea often spraying onto the lower beach huts. As with all our of our huts, dogs are more than welcome, though, during peak seasons, a prior agreement is required for more than one average size dog. 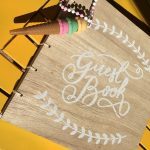 We do find we accommodate this subject to the overall party sizes – don’t be scared to ask before booking. 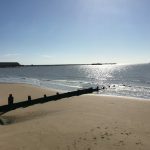 Walton’s beach directly in front of the beach hut is dog-friendly all year round. You have a good few miles of beach all year to explore and let them off lead. As with all outdoor locations – do please remember to clean-up (and if you forget your ‘poo-bags’ you’ll find a few spares in the beach hut. A water tap is just two beach huts away (you’ll spot it just behind that little garden I talked about above. Making it all that bit easier to fill up the kettle. During the winter months, the taps are removed by Tendering Council to avoid burst taps (tend to be from early December to just before easter). Just remember to bring along some water bottles and you can refill at the toilets. The closest toilets are directly opposite the pier (along with baby changing facilities). These are open as a minimum from 8 am to 6 pm (though this is later in the summer months). 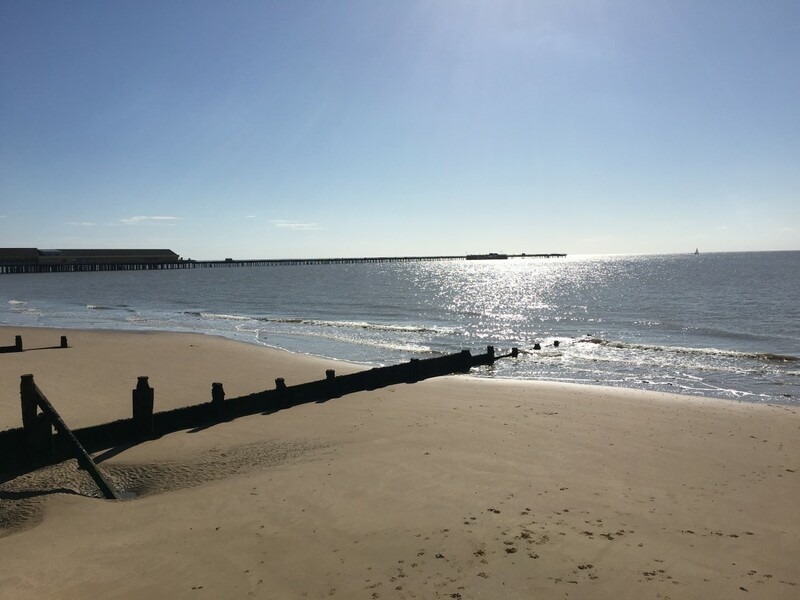 There is another option further towards Frinton, approximately half way down the promenade. Note that these are closed during the winter months. You may find you are able to park on the residential streets nearby and in the rail station car park. However, there is a large public car park near the station and pier (Church Road, CO14 8DE). The summer season and weekends are very very busy. Do be prepared for extra traffic and arrive early to secure parking. 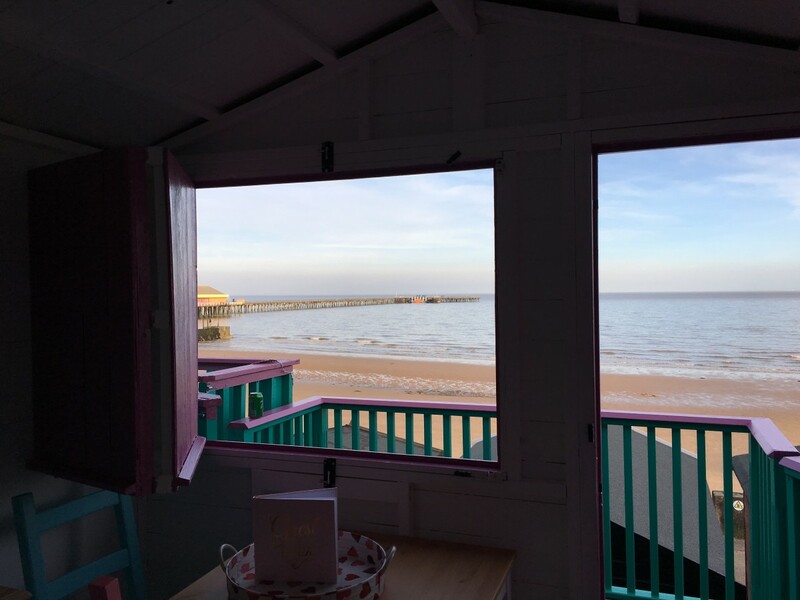 Feel free to make the most of the day and enjoy our beach hut between 9 am and 8 pm. A number of our guests brought PJs with them for the younger members of the famil. A quick change pre-car journey and less work to do once home! Don’t worry if you forget to pack milk (tea, coffee, sugar is provided), there are lots of shops on the way into Walton, and you’ll find a Tesco express in the centre of Walton itself. 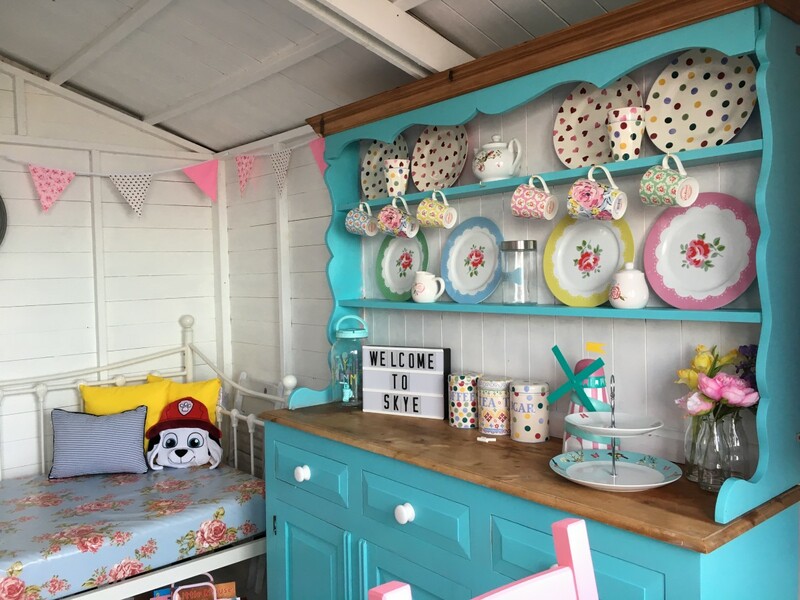 You’ll also find the seafront cafe’s at the Pier open during peak times. Our payment is safe and secure, using PayPal (and you’ll note that green bar on our website that says we’re certified too). But don’t worry if you don’t have a PayPal account to use – just go to the PayPal page and when you click through to pay you’ll be given an option to pay without an account. We, therefore, accept all major credit and debit cards Payment will be taken in full at time of booking. If you need to cancel, then we will refund the full value of your booking less £15 if cancelled more than two weeks pre your booking. Unfortunately, we cannot refund any bookings that are cancelled less than two weeks ahead. Do get in touch if you’d like to change the date pre the two week notice period – we’ll do our best to fit you in. 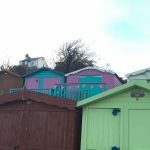 One of the many reasons quoted for the licence change of our prior huts on the private development in Walton was that there were too many ‘large’ parties. I know I found myself calling some parties direct who had several other guests with them or who happened to be in the area and popped by their beach hut. 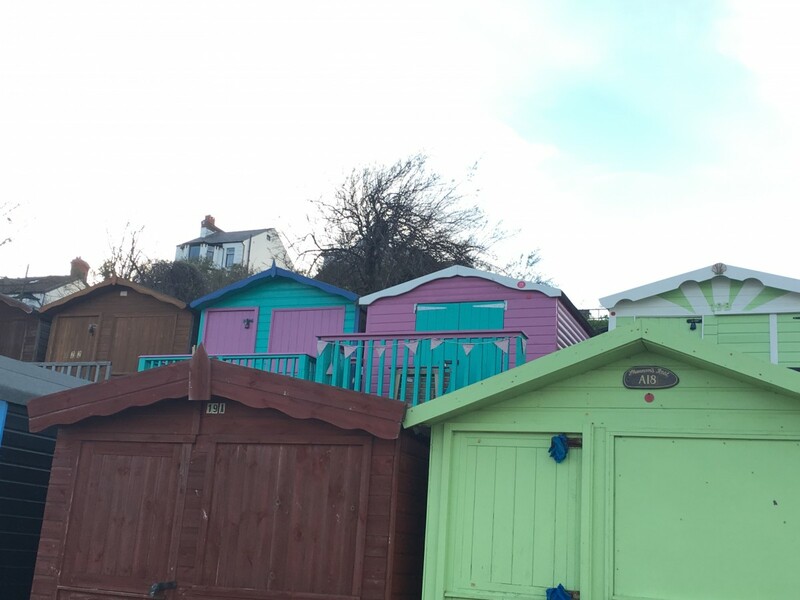 We have incurred a significant amount of cost due to this and were forced to sell those beach huts due to the licence change. Please help us avoid this with our new huts. Any parties found to be breaching those T&Cs will be asked to leave (sorry to be a stickler but we’ve been badly burnt by this one!!). 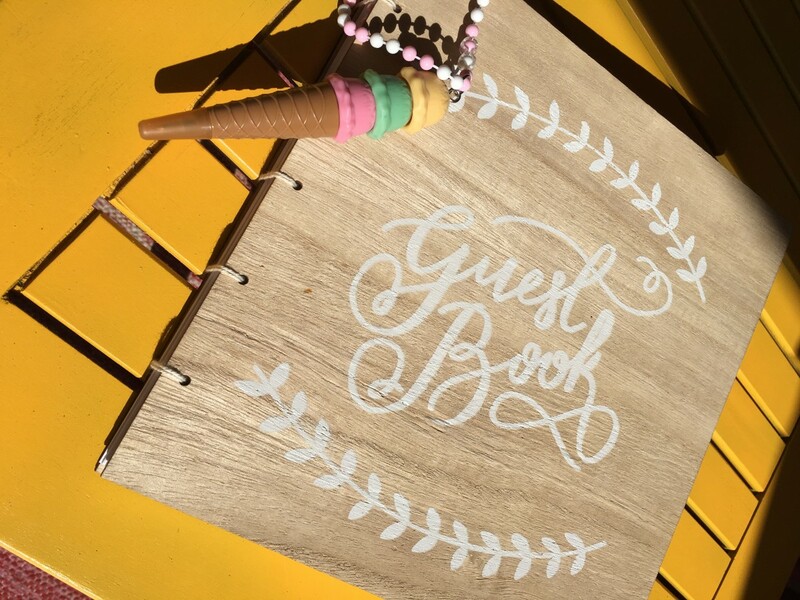 It may even be Millie and me who come to say – we love to see our guests enjoying the huts and gives us a chance to get some feedback directly from you. Do say hi if you spot us out on the beach… yeah she’s the one in the water with a tennis ball.